Cinnamon is a fork of GNOME Shell developed by Linux Mint Team that brings innovative features of GNOME Shell and simple layout of GNOME 2. 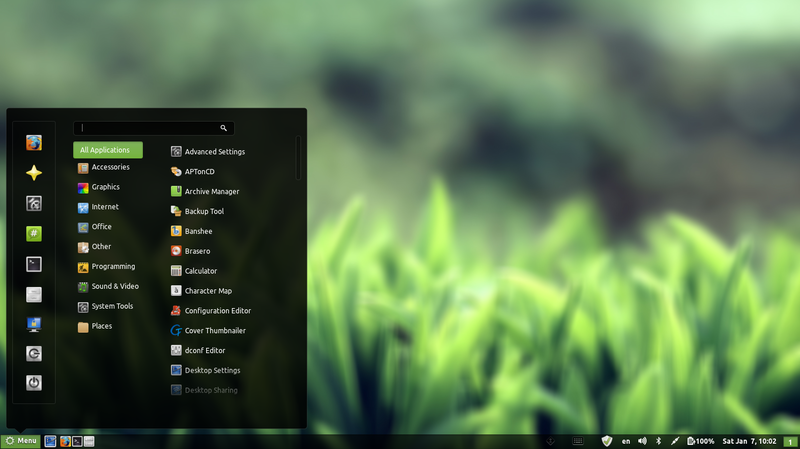 Cinnamon is a good innovation which is trying to combine the hi-tech GNOME Shell and simplicity of GNOME 2. Unfortunately, Cinnamon can not use usual GNOME Shell themes, if you force it, there will be something messy on "Application Launcher". So today, I'd like to share s new theme created for Cinnamon called "Minty". As you can see at the picture above, this theme have a "minty" green highlight color and a clean look interface.It's suitable for you who are looking for latest GNOME version with simple and lightning fast interface. Although, Cinnamon is usable by now, it's in early development stage. You might encounter some bugs, errors or another annoying stuff. Please use with your own risk!